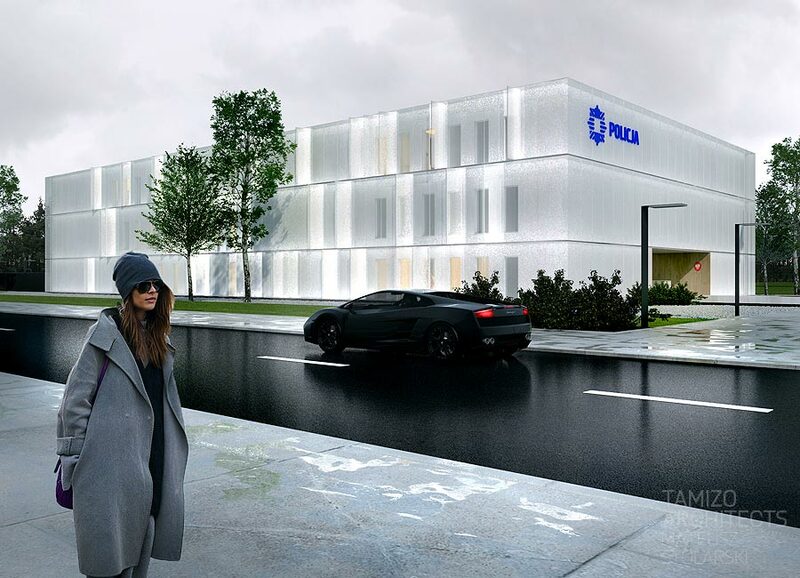 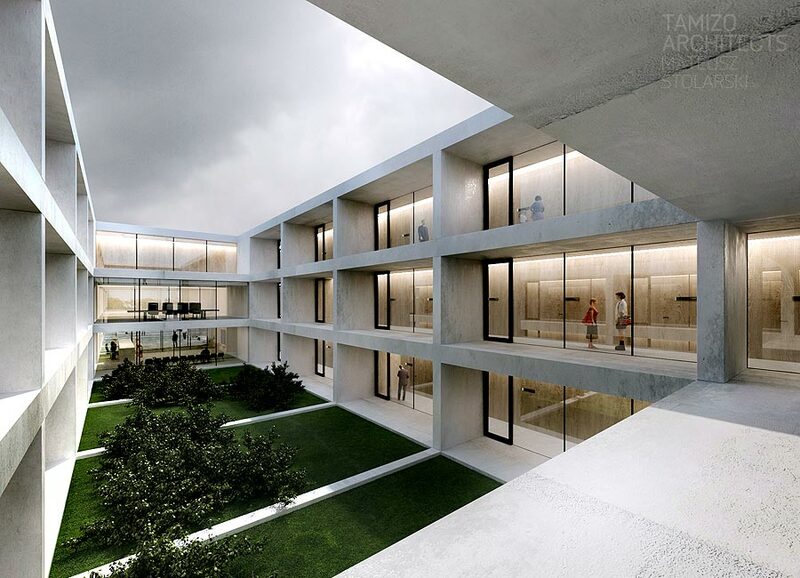 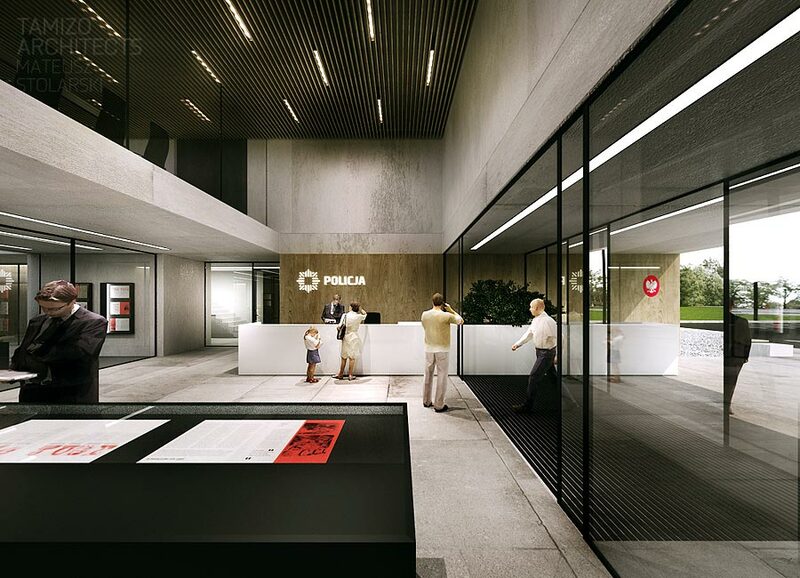 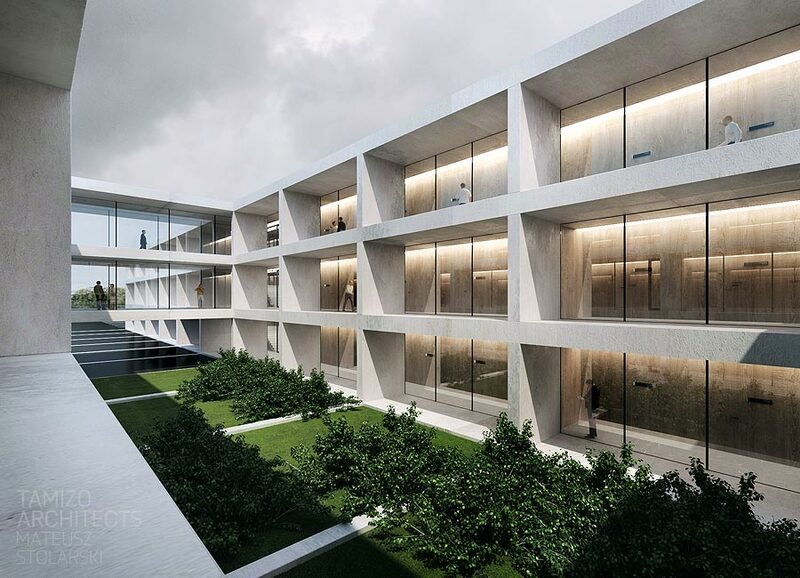 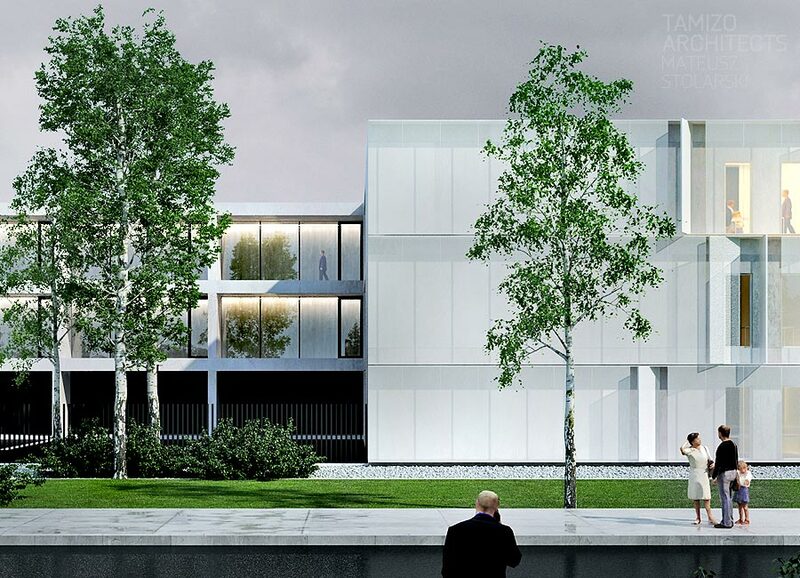 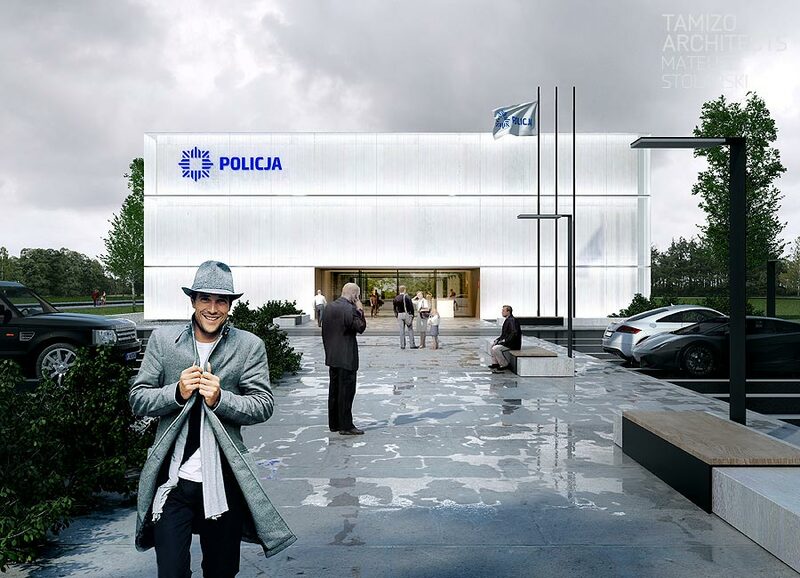 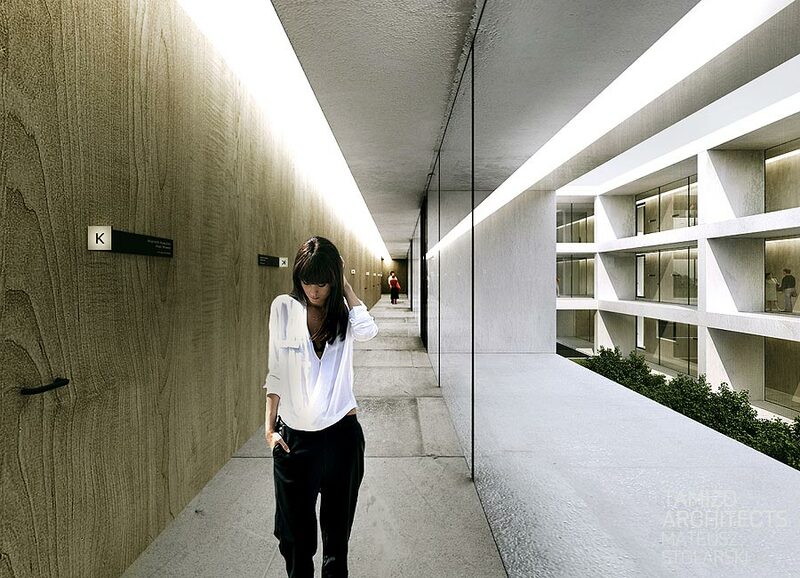 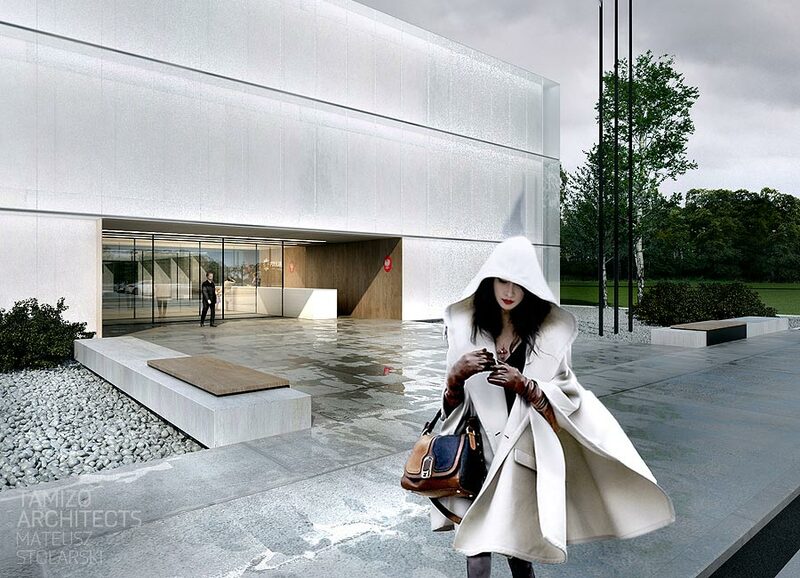 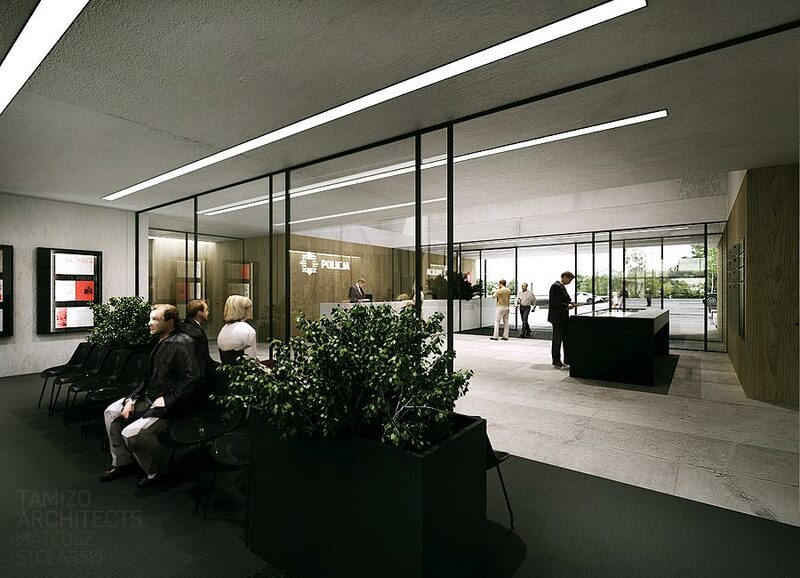 This design was created for a competition organised by the Polish Ministry of the Interior, which aimed at creating a new standard of buildings used by the Polish police. 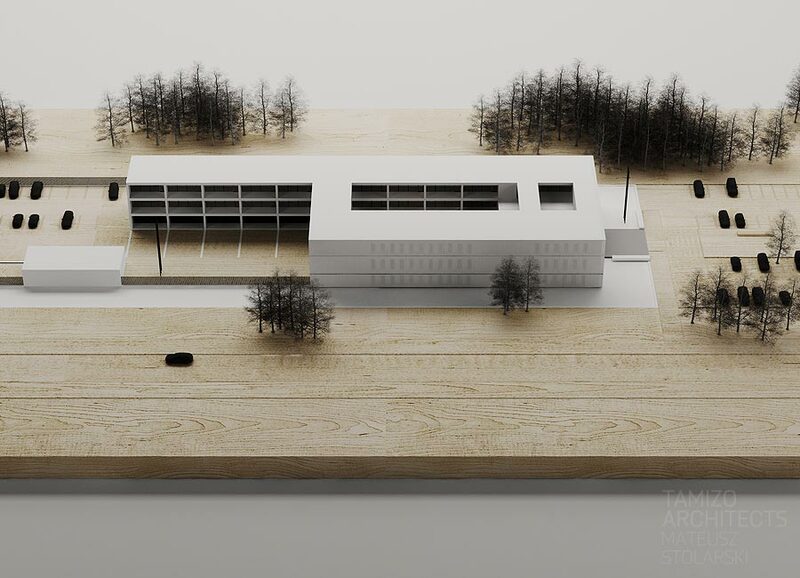 The idea was to develop a standard model of the police station building on the basis of which new police station buildings would be designed in the future. 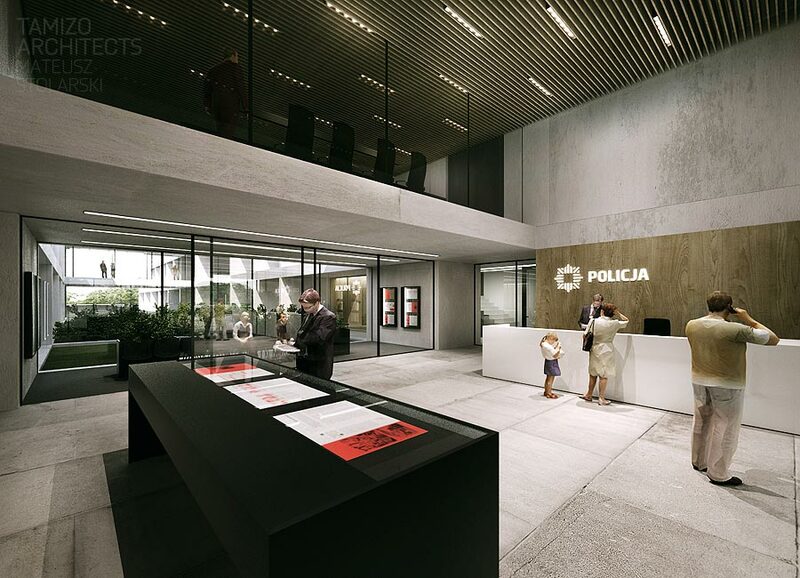 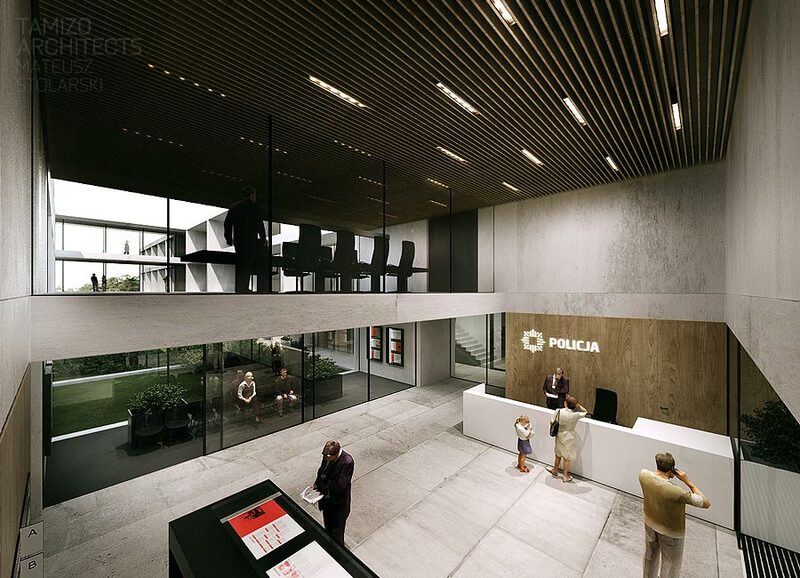 At the same time, it was about developing architectural standards, applying which would allow for renovating the existing police stations in order to maintain consistency between the old and new facilities.